The team theorized that since hunger is such a fundamental part of life, evolutionarily speaking, existing diet drugs that affect certain molecular pathways in the human body could have similar effects on mosquitoes—particularly the female mosquitoes that actually feed on our blood. They zeroed in on a pathway related to neuropeptide Y (NPY), a protein that has been closely studied for its likely role in weight gain and obesity in people. Though we’re still not sure exactly how, scientists think that NPY helps regulate our sense of feeling full and other feeding behaviors. To test their theory, the researchers fed Aedes aegypti mosquitoes (a species capable of spreading many mosquito-borne diseases, including Zika) experimental human drugs that target a specific receptor of NPY in people, called Y2. The team next scoured through hundreds of thousands of molecules that could interact with NPYLR7 but not any other human or mosquito receptors, ultimately settling on one compound. This compound, as with the earlier experiments, seemed capable of suppressing the skeeters’ will to bite and feed (it also didn’t work on the NPYLR7-free mosquitoes, as before). This team isn’t the only one trying to develop novel, pesticide-free ways to tackle mosquito-borne diseases. Scientists elsewhere are developing more aggressive methods that send out sterilized male mosquitoes into the wild, effectively dooming a local population to extinction. But Vosshall’s method, if refined, would be less likely to disturb entire ecosystems—possibly alleviating a key concern some scientists have had about the sterilization plan. 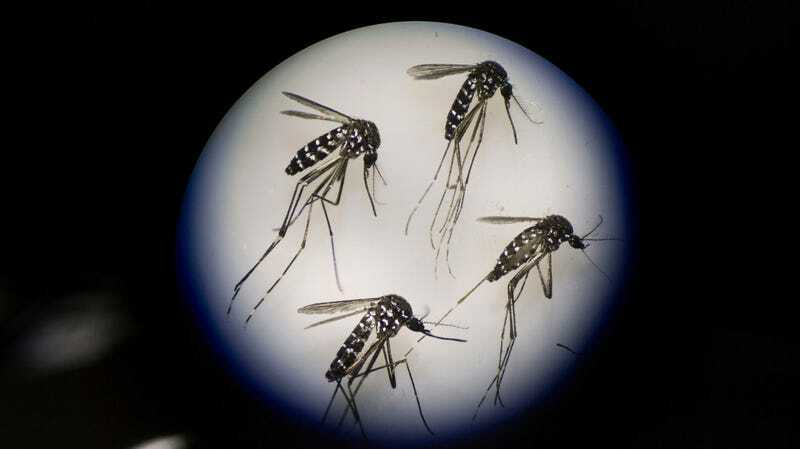 The diet method could also be used alongside other mosquito control techniques to boost their combined success rate. The next step for Vosshall’s team is more basic research that will hopefully uncover the exact mechanisms through which these drugs are suppressing mosquito appetite, whether they’re affecting the insects’ brains, their sense of hunger, their ability to smell people, or something else. 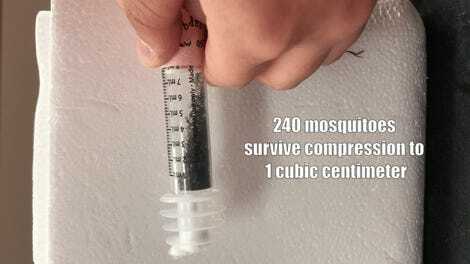 Future research will also need to find more potent chemicals capable of suppressing mosquito appetites for longer. And researchers will need to find the best way to get these eventual drugs to mosquitoes in the wild.